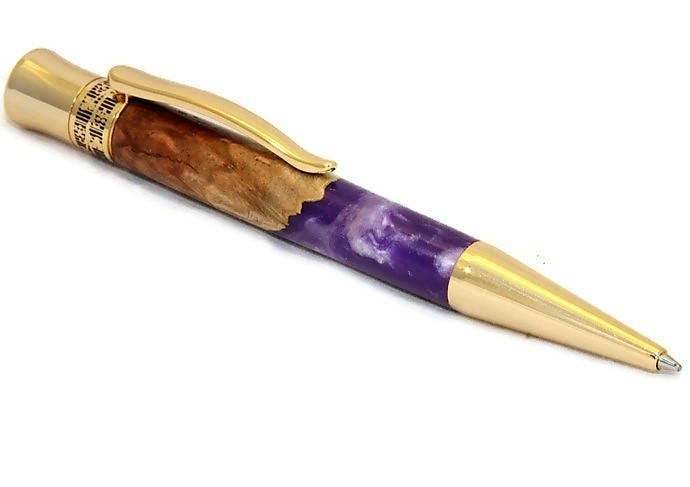 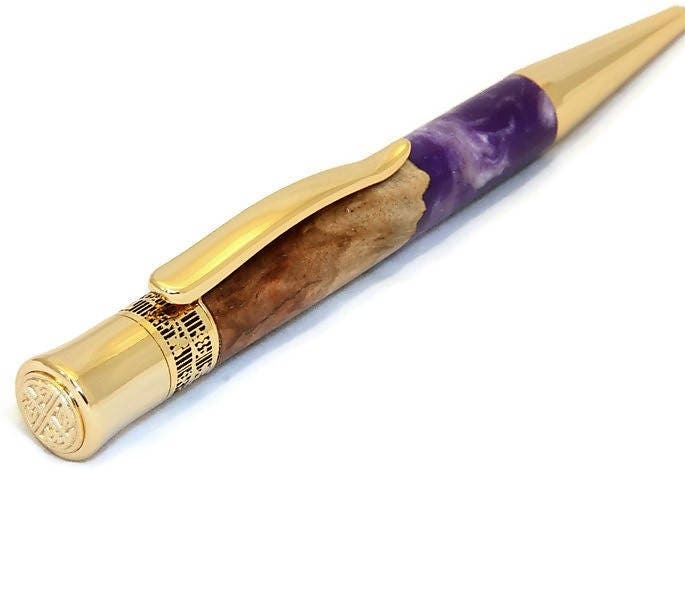 Handmade Wood & Purple/White Acrylic Ballpoint Pen. 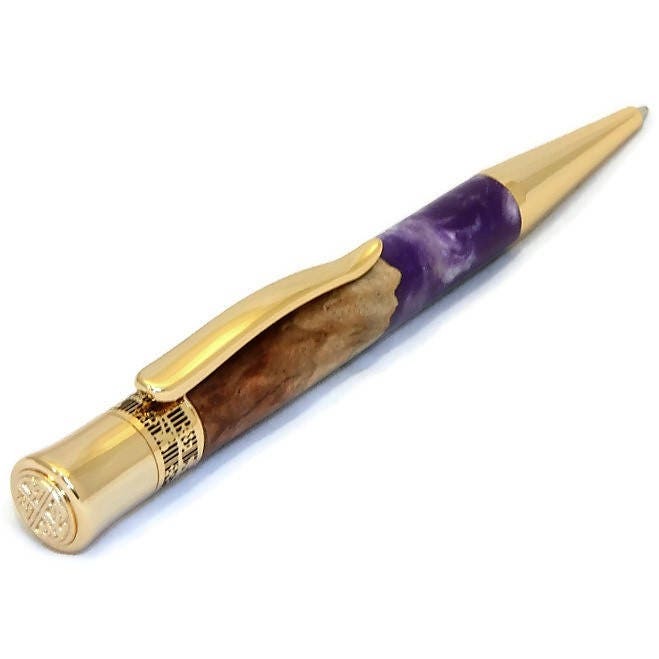 - Twist-action ballpoint pen with Rhodium fittings. 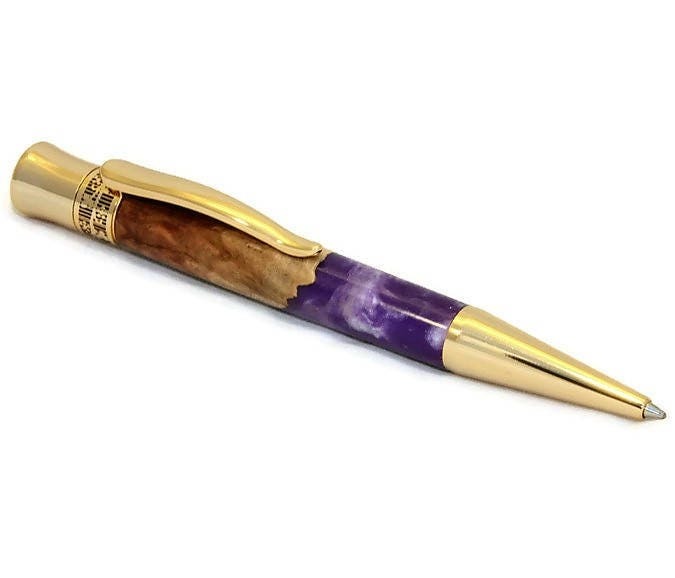 - Made from a solid piece of Mallee Burr wood encased in a purple/white swirl acrylic resin. 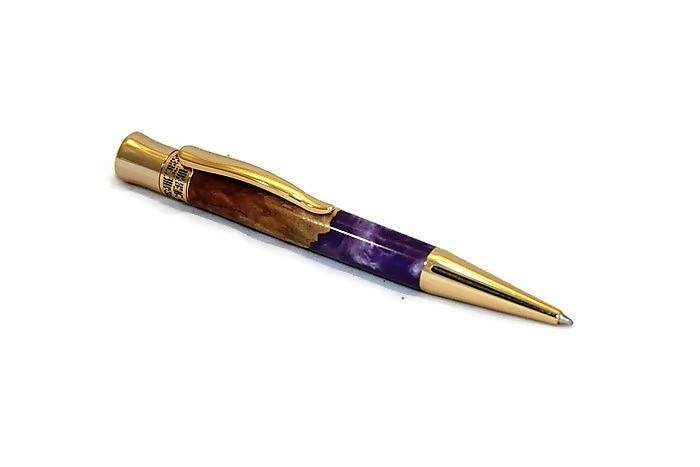 - The pen measures approx 4 3/4" (12 cm) long and 1/2" (1.5 cm) at it's widest. 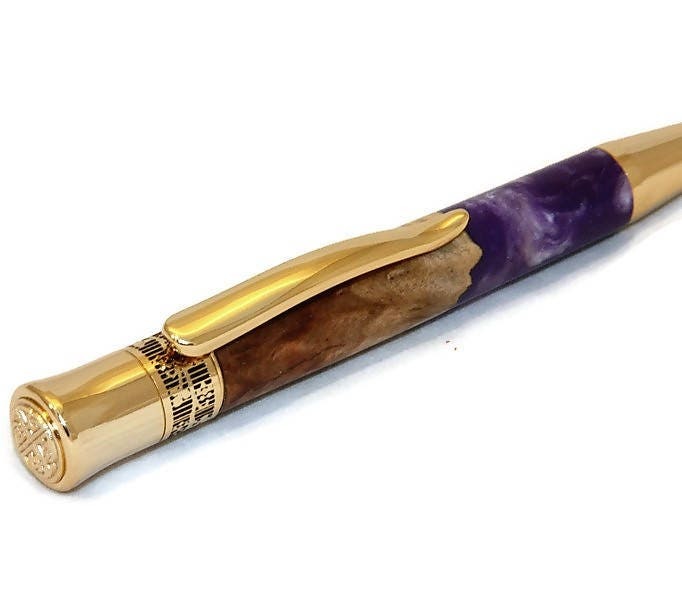 - It weighs approx 2 ounces (50g). 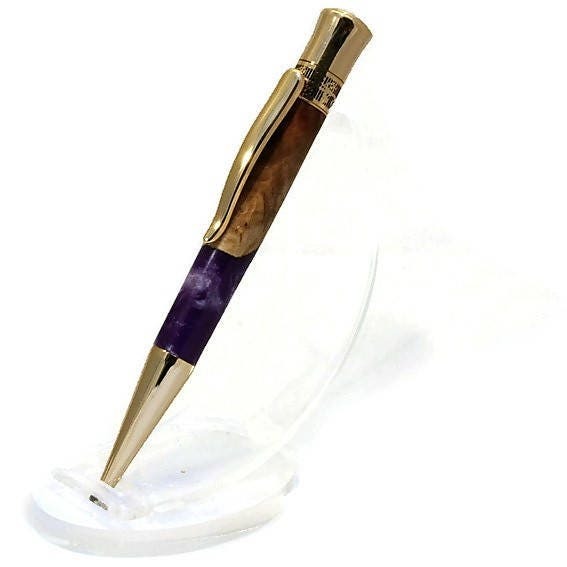 - The pen takes a 'Parker'-style or G3 refill and comes with one in black ink. 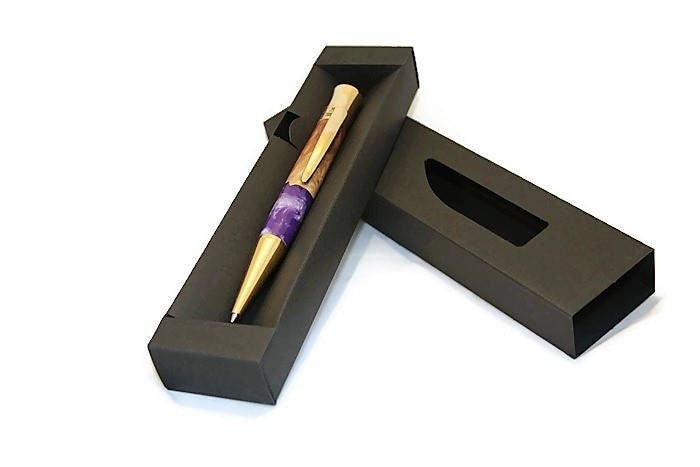 - The pen will come in a card gift box as shown.